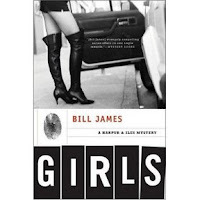 Bill James's Harpur & Iles novels are indirect, satirical, and bleakly comic forays into an alternative reality based on the gritty cities of England. Beneath the novels' brittle, Wodehouse-like surfaces, is there some truth about contemporary life? Truth about crime fiction (and literature in general) abounds in these short novels (the characters are constantly referring to literary greats, and the narrative manipulates the standards and cliche's of crime fiction mercilessly. But regarding a "higher" truth, it struck me while reading the new (in the U.S., anyway) novel, Girls that beneath the mocking tone, the artificial language, and the stylized characters (all of which are great fun) there's also an emotional truth, as much for the villains as the heroes (if anybody can tell one from another in this morally skeptical series). James's invented slang spills over from the dialogue into the narration, especially when the gangsters are speaking to one another: Manse Shale's bad grammar is replicated by the narrator in the early dialogue between Shale and Ralph Ember (one of James's inimitable creations). When Colin Harpur is talking to his daughters (and much of the novel follows his dialogue with them), he's correcting their grammar constantly (especially his younger daughter, Jill), and the narrator is on his toes as well, as if not to offend the sensibilities of the otherwise rough-around-the-edges detective. But what Girls is about more than anything else is the reality and the essential nature of the emotional ties between all the parents and children among the central cast of characters. The emotional truth is buttressed not by sentimentality but by the very skepticism (almost cynicism) of everything else going on in the novel. Harpur at one point quotes Joseph Conrad's Secret Agent, a book with much indirection in its narrative but with powerful feeling at its heart. If Conrad's story is tragic and James's novels are comic (to quote Girls about itself, "very darkly jokey") that's perhaps a measure of the distance between our world and Conrad's, leading perhaps to the notion that there is sociological truth as well as emotional depth to James's comedy. 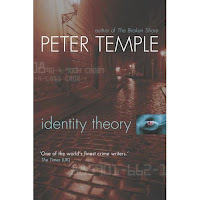 Identity Theory (or In the Evil Day) is Peter Temple's international thriller, a quite different book from his police novels (like The Broken Shore) or his gambler-lawyer-detective series (beginning with Bad Debts). Identity Theory (to use the U.S. title) has little to do with Australia, being mostly set in Germany. The plot is basically a double strand, one following a South African bodyguard (whose client is killed, leaving behind a videotape and documents) and an American emigre and former journalist who is now working for a very contemporary company that mines information for clients from spurned husbands to dodgy corporations. The American's past (he was kidnapped by terrorists in Lebanon) and the South African's documents create a web-like story that is only revealed slowly, in snippets that for a very long time don't make much straightforward sense. The information gathering of the American's employer is the model for the splintered narrative, in a sense: the reader has to put things together along the way. Both the main characters escape shadowy murderers and fine unlikely lovers, and both (along with the novel's dialogue and violence) are believable and compelling. And the pursuit of information is a very contemporary take on the LeCarre spy novel, on the one hand, and the political thriller, on the other. Paranoia (confirmed by the story's resolution) replaces a more elemental social pessimism that is evident in Temple's noir novels (particularly The Broken Shore, with its meditations on racism and economic depression in rural towns). Depending on your taste, you will like Identity Theory or The Broken Shore--the thriller and the crime novel seem to appeal to different readers. Both sides of Temple's oeuvre are effective, though from my personal perspective, the crime fiction side of his career is depper and more effective (though his take on the thriller is at the very least interesting). 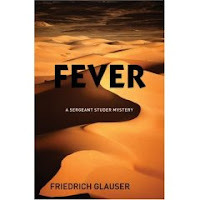 With the fourth of Friedrich Glauser's Swiss "policier" novels now available in English and the fifth soon to come, I've gone back to catch up with the third in the series, Fever. Glauser has been called the Swiss Simenon, but his Sergeant Studer is quite different from Maigret. Studer is a loner (though more of his colleagues appear in Fever than previously), and he's a ruminative detective, reconsidering the evidence again and again. And in Fever, Glauser also adds some Sherlock Holmes into the mix, as well as some of Holmes's predecessors and competitors. Fever is in a way an adventure novel, full of clairvoyance, identity changes, an heiress and her doomed family, and so forth. The Gothic elements are carefully controlled, so that the novel is in some ways both an hommage and a parody of the detective-adventure stories of the previous century (Glauser and his Studer being from the years between the World Wars). The conclusion of Fever even suggests that this tale is the author's way of giving his character a chance to fulfill a childhood dream of the Foreign Legion (for the novel takes us from Paris to Basel to Bern and to the North African desert (with thrilling stops in between). The first two Studer books, Thumbprint and In Matto's Realm, were rather claustrophobic, set in a small town and an ominous hospital, with Studer's ruminative (rather than deductive) method adding to the sense of the stories' narrow confines. 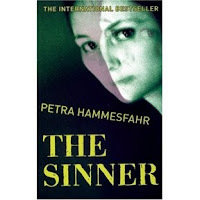 But in Fever, with the opening up of the story and its setting, Studer's method is helpful in simply keeping track of the cluttered plot (beginning with the death of two old ladies, sisters, in Basel and Bern, and with the mysterious priest who seems to be the key). And as might be expected in a tale that hovers close to parody, there is more humor in Fever than in the earlier books, and more about Studer's home life (his wife Hedy, though hardly a major character here, is a delight). Glauser was plainly enjoying himself, spreading out from the more philosophical In Matto's Realm into a more literary and comic mode. And so, eventually, on to the rest of Glauser...thanks to the U.K.'s Bitter Lemon Press. Reviewers (not to mention P.R. flacks) keep calling HBO's cops-in-Baltimore series The Wire "A novel for television," so why not review it as a novel (even though the last episodes of the fifth and final season haven't aired yet). In its first season, The Wire seemed to be about drug dealers, and it was a gritty drama that was totally convincing in its invented dialect of "the corner" and its portrait of Baltimore at street level. There's the requisite white detective (to pull in the mass audience, I guess), whose foolish conscience kicks the whole thing off (by mentioning to a judge that the biggest drug dealers in town, the Barksdale crew, aren't even on the police department's radar). But very quickly, the series leans heavily on an ensemble cast that is mostly black, dealers, politicians, cops, detectives, and the kids on the corner (the "retailers" of the drug industry). It's an immersive environment, and you gradually learn the language and begin to sort out who's who and what's happening (since the writers and producers don't spoonfeed the audience, thereby heightening the impact of the whole). The ruthlessness of the drug trade continues in the second season, with the addition of a second plot concerning a container-load of dead women, shipped by traffickers into the port of Baltimore. The port plot, though, has more to do with the dying port itself, and the mostly Polish union members that are being brought down with it. As one of the actors from the series's drug plot said in an interview, everyone thought this story was about the drug trade, but the second season made it clear that David Simon, who created the series, had nothing less in mind than a portrait of an entire city. But before we begin to think that Simon and his series was abandoning the projects and Baltimore's mean streets, the drug trade is still a major plotline, and we return to it in a larger way in the third season, which ostensibly deals with city politics. The first three seasons form an almost classical tragedy, within the drug plot especially, as the principals of that story (Barksdale, his nephew, and his chief lieutenant and business manager, Stringer Bell--played by the brilliant Idris Elba as as an ambitious MBA-type moving himself and his business toward its logical place within the corporate economy) rise up to meet the threats to their dominion from a ragtag crew of detectives and the other dealers in town (who ultimately join together in a cartel someting like OPEC). The tensions between childhood friends Barksdale and Bell, as the gangsta and the businessman, plus the ominous intrusions of a freelancer-predator named Omar and the attempt by Barksdale's nephew to escape the family business, rise beyond the confines of crime-TV to nearly classical tragedy. And as the series contues beyond the crescendo of the first 3 seasons, some themes and plots carry forward, into the seasons ostensibly dealing with the schools and with the media, with new and old faces personfiying aspects of the essential story of the city.But any description of the series should also take into account that there is considerable humor, especially in the interplay among the detectives and the larger arc of the police struggle to keep up with the street trade (as well as some grand ironies of ethnic identity, bureaucratic competition for power, and frailties of character). The series could not have carried its audience so far without its grim sense of humor, only one of the virtues brought to the excellent stable of writers, including some proponents of noir like George Pelecanos and Richard Price. Calling The Wire a novel for television is not quite accurate: as is appropriate for any story taking place over a long period of reading or viewing, it has a baggy quality more like Dickens than a tightly plotted crime story, but then Simon's ambitions are also approach those of Dickens more than a garden variety crime story. 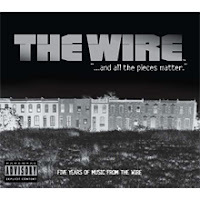 But The Wire does share with some of the best crime fiction a success in portraying a particular place and people under stress (think of some of the best of current Scanidinavian or Australian or Irish crime fiction) and should for that reason alone share shelf space with the cream of contemporary noir (printed or filmed), and in its realization in vivid writing and production and striking, natural performances, the becomes something unique in the admittedly not too competitive field of succesful Noir TV. I should add that, unlike (for example) the excellent and venerable but quite different Law & Order series, The Wire presents a problem for the dedicated fan: There are some events within the plot that can be very painful to watch, especially if you become involved with the characters and even more if, re-watching episodes or the series, you know they're coming. This is not a series you can pull off the shelf and casually dip into, because of that painful aspect as well as a continuity that presents problems to picking up the plot in the middle and especially for someone starting the story in the middle, having not seen the first season (several people I know have tried that, only to get lost in not only the complexities of the story and characters but even in the language spoken in various of the show's subcultures). Those drawbacks, though, only attest to the courage and the accomplishment of this exceptional "novel for television." 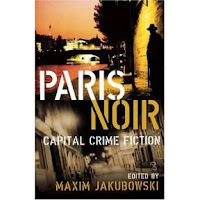 Maxim Jakubowski's collection, Paris Noir, suffers a bit in comparison with Crimini, the anthology of Italian crime fiction recently reviewed here. Paris Noir's stories are shorter than those in Crimini, as well as slighter. 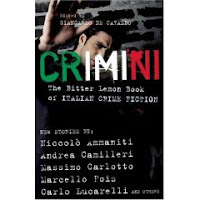 Whereas a number of the tales in Crimini are long and complex, most of those in Paris Noir are short, slice of life or perhaps glimpse of misery tales. And while Jakubowsky's ten-year-old London Noir (perhaps the founding volume of the recently burgeoning collections of city noir stories) was an exploration of (then) new British crime writing, Paris Noir is mostly Anglo-American writing by established writers like John Harvey (also in London Noir), Sparkle Hayter, Stella Duffy, Jerome Charyn, Scott Phillips, and Cara Black (all of whom have Paris credentials and the last in the list having a running series based in Paris). Some of the best of the stories are, indeed, by French authors, most of whom are not known in the U.S., and the best of them is by the estimable Dominique Manotti. Manotti's tale is terse and oblique, coming around to its point only in the last sentences, revealing a dark side of Paris's life and politics (I only wish it were longer and more fully realized, since I'm a big fan and impatiently awaiting her forthcoming Lorraine Connection). Romain Slocombe tells a tense serial killer tale from a threatened woman's point of view (though the actual crime in the story is not what's expected). Dominique Sylvain's Heat Wave weaves contemporary events in French culture and history with wonderful wordplay that is in a way the subject of the story--the crime is almost incidental to the reader's experience; this tale of interplay between a cop and his new partner (and between the cop and his desire for his psychoanalyst) is perhaps the most satisfyingly complete (in an aesthetic sense) of the stories. Actually, the incidental quality of the crime is fairly common in this collection. 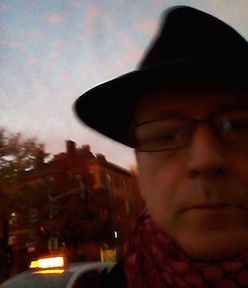 John Williams, author of a couple of enjoyable and informative books on American noir fiction as well as several novels and a story collection that stake out his own territory in crime fiction (a melancholy exploration of the subculture of musicians) contributes a circular story of male sexuality in its bohemian variant. John Harvey's tale, also from the musical underworld, follows the decline of its hero into addiction, surely a tale of criminal waste of promise, but without the usual framing devices of noir. The only long story in the collection is by Michael Moorcock, who is known more for literary fantasy than crime fiction, and his story here is a metafictional, comic farrago, a grand guignol of direct and indirect references to the literature of crime, the geography of Paris, and alternative history. The story is entertaining and clever, but doesn't really have the tension or intensity that one might expect from noir. Barry Gifford's Nadja is a retelling, in the mode of parody or travesty, of Surrealism maven Andre Breton's famous novel of the same name--fun and even chilling, but not a crime story, really. Nocturne le Jeudi, by Scott Phillips, is an elegantly written slice of life that takes an ordinary-life approach, giving an existential twist to crime fiction by focusing on his central character's guilty glimpse of a possible crime rather than on the crime itself. Sparkle Hayter's Deus ex Machina, on the other hand, exploits the conventions of the crime story and the new realities of Paris in a roller coaster from suicide to murder to resolution that is quite simply a lot of fun to read. Stella Duffy's contribution is an affecting monologue that reveals the narrator's secrets and the story slowly and subtly, amplifying the emotional impact of the crime when it is finally made clear. Duffy's and Hayter's very different stories would make Paris Noir worth the price of admission, and a few of the others (Manotti's and Phillips's in particular) are up to that standard. If not quite as substantial a collection as Crimini, Paris Noir is still an interesting and diverse snapshot of noir writing touching on the city of lights. When the BBC wanted to do a show about ruthless, brutal cops, they went back in time 30 years or so for Life Mars (currently airing on BBC America). Ken Bruen achieves the same result in a single character, Brant, in today's British police force. The Brant series is my favorite among Bruen's books--though the Jack Taylor series is more serious and dark in tone, the Brant stories are funny, violent, and quick. Brant, however, seems to be stuck in a melancholy mode in the latest book, Ammunition--as if in mourning for his favorite author, Ed McBain (whose books the Brant series resemble not in the slightest, except for the ensemble cast). Brant hardly breaks a sweat, mostly influencing others (particularly Detective Falls, still suffering from the consequences of her appearance in previous books). The detectives now seem to fully detest each other, and the plot is overpacked (numerous strands of events effect each of the detectives in different ways), but loose. None of the Brant novels is tightly plotted, but Ammunition is almost like a placeholder between the previous couple of books (Calibre and Vixen) and whatever is coming next for the survivors of Ammunition. Still, Bruen's text moves along briskly as usual, and with considerble dark humor. Brant and his cohorts still get my vote as Bruen's most substantial (and most reliably amusing) contribution. 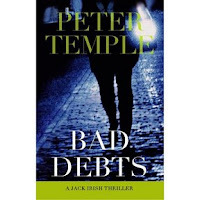 The first of Peter Temple's Jack Irish books, Bad Debts, is quite different from his better known Broken Shore. Like another Australian, Garry Disher, Temple is quite prolific and, also like Disher, he shows considerable diversity among the different strands of his writing. Disher's police-procedural series is, like Temple's Broken Shore, complex, socially conscious, and complex. Whereas Disher's noir series focused on a professional thief is straightforward or linear in comparison, Temple's Jack Irish series is complex in a different way from his Broken Shore: There's a lot of plot, for one thing. Bad Debts combines Irish's avocations (woodworking and gambling) with his day job (as an attorney whose law license is a cover for what is essentially detective work somewhere between McDonald's Archer books and Parker's Spenser novels. But Temple also includes grand property scams à la Chinatown, a child abuse ring à la so many novels and movies that it's impossible to pick just one comparison, and a horse-racing scam that reminds me of John Hawkes's remarkable The Lime Twig (if you haven't read that, it's a treat--as long as you don't mind language that's always moving sideways and a plot that moves forward more by mood than narrative--among literary novels of crime, The Lime Twig is one of the best). Amid all that plot, Temple adds some flourishes to the more predictable plot twists--a character that any habitual crime-novel reader would expect to end up dead doesn't, though many others do. And a plot point that is so obvious that the reader will be screaming at Irish to go back and figure it out turns out in an unexpected way (I could almost see a little malicious grin on the author's face when he turned my expectation into something else). While more conventional than The Broken Shore, Bad Debts nevertheless draws the reader in to each of its several strands, inluding the extremely complex racing scam, the machinations of which could only be clear to someone who spends way too much time at the track. And the Australian setting (physical, social, and political) is drawn vividly. I'm looking for the rest of the Jack Irish books, as well as Temple's other non-series books. Paranoid novels share with satire or parody the ability to infect reality. If you see a very good parody or lampoon of a politician or a celebrity, it's difficult to take that person seriously again. In Thomas Pynchon's great early paranoid novels, V. and The Crying of Lot 49, the author stitches the reader into the conspiracy with threads of recognizable reality. Henning Mankell's Walander novels frequently turn on a global conspiracy of one sort or another (from murdering Mandela to provide an excuse to reimpose apartheid to bringing down the banking system through the software controlling the global network of ATMs). But Kennedy's Brain, his most paranoiac novel, fails to deliver its intended punch--perhaps because, as he states himself, the novel is motivated by anger. There are certainly great possibilities in a story about the drug industry and AIDS, but Le Carre's novel about the drug industry is much more affecting, for all its misdirection, than Mankell's more straightforwardly told tale. Le Carre, in The Constant Gardener, plants hints, often visual images, that gradually build into a convincing indictment of big Pharma. 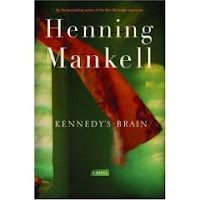 Mankell follows Louise, his archaeologist and mother, as she tries to piece together the logic of the death of her son, through his papers on the Kennedy assassination and hints dropped throughout her investigation of a secret life that her son concealed from her. Through his hideaway in Barcelona, his father's hideaway in Australia (the men in this novel are always running away or engaging in malicious exploitation of the Third World), and ultimately an AIDS mission in Mozambique. I won't provide any spoilers about what she finds, or how the novel reaches a conclusion of sorts--but the paranoia and despair that she goes through lead to a kind of pessimistic activism, perhaps where Mankell intends to leave the reader. But the text is undramatic, even through the many disappearances and murders. The text is repetitive and tendentious, and Mankell's strategy of repeatedly having his character reach dead ends prevents the reader from being stitched into the story in the manner I describe as Pynchon's. The sentiments of Kennedy's Brain are inarguable, and the author is to be commended for his uncompromising portrayal of an African point of view, as well as African misery (the most affecting character is Lucinda, the African prostitute that becomes Louise's primary contact with her son's past. But Louise herself never quite ingratiates herself into the reader's attention, and few of the murders give rise to much horror or sympathy (though there's plenty of horror in the AIDS mission. Mankell's less angry, less tendentious novels are much more dramatic and involving.